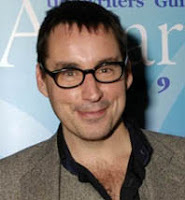 type40 - Doctor Who news and views: TOBY WHITHOUSE TO REPLACE THE MOFF? Being Human creator, Toby Whithouse, has denied the reports that he will take over from Steven Moffat as Doctor Who showrunner. Speaking to SFX magazine, Whithouse said: "I have heard the rumours. I've been hearing them for years now... 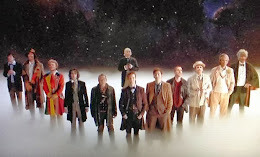 In terms of my future on Doctor Who, this kind of speculation only takes places in the heads of the fans. I'm going to be busy doing The Game [BBC One spy drama] for however long that lasts and I think Steven is doing incredible work on Doctor Who and I'd much rather he stay there." Although this sounds like Whithouse most definitely will not be taking over the reigns, he did go on to say that he would be interested in the position. "Whether or not it's something the BBC is considering, I genuinely have no idea. I'd be lying if I said I wasn't intrigued by the idea, but also it would be terrifying. It's definitely something I'd be really tempted by." Whithouse's Being Human came to an end after its fifth series and was hugely popular on BBC Three. Personally, we feel that Whithouse would be a good fit for Doctor Who, what do you think? Let us know in the comments below.